Two Mexican nationals have been extradited from Mexico to face charges for their alleged participation in the murder of U.S. Immigration and Customs Enforcement (ICE) Special Agent Jaime Zapata and the attempted murder of ICE Special Agent Victor Avila on Feb. 15, 2011, in Mexico. The charges and extraditions were announced today by Assistant Attorney General Leslie R. Caldwell of the Justice Department’s Criminal Division, U.S. Attorney Channing D. Phillips of the District of Columbia, Assistant Director Stephen E. Richardson of the FBI Criminal Investigative Division and Director Sarah R. Saldaña of ICE. Jesus Ivan Quezada Piña, aka Loco, 28, and Alfredo Gaston Mendoza Hernandez, aka Camaron, aka Burger, 33, both of San Luis Potosi, Mexico, were charged on May 16, 2013, in a four-count indictment with murder of an officer or employee of the United States; attempted murder of an officer or employee of the United States; attempted murder of an internationally protected person; and using, carrying, brandishing and discharging a firearm during and in relation to a crime of violence causing death. 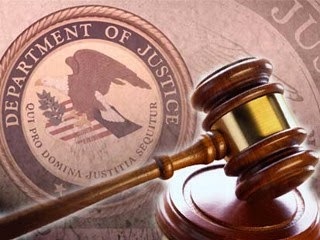 The indictment was unsealed today when Quezada Piña and Mendoza Hernandez made their initial appearances before Senior U.S. District Judge Royce C. Lamberth of the District of Columbia. Quezada Piña and Mendoza Hernandez were ordered detained without bail. Four defendants—Julian Zapata Espinoza, aka Piolin, 35; Ruben Dario Venegas Rivera, aka Catracho, 28; Jose Ismael Nava Villagran, aka Cacho, 33; and Francisco Carbajal Flores, aka Dalmata, 41—previously pleaded guilty to offenses based on their roles in the murder and attempted murder of the ICE agents. As part of their guilty pleas, Espinoza, Rivera and Villagran admitted that they participated directly in the Feb. 15, 2011, ambush of the two special agents as part of a Los Zetas hit squad. The fourth defendant, Flores, acknowledged assisting Zetas members after the attack. A fifth defendant, Jose Emanuel Garcia Sota, aka Juan Manuel Maldonado Amezcua, aka Safado, 35, was extradited to the United States on Oct. 1, 2015, for his participation in this attack and is currently awaiting trial. The charges and allegations in the indictment are merely accusations, and the defendants are presumed innocent unless and until proven guilty. The FBI is investigating the case with substantial assistance from ICE, the Bureau of Alcohol, Tobacco, Firearms and Explosives, the Drug Enforcement Administration, U.S. Customs and Border Patrol, the U.S. Department of State’s Diplomatic Security Service and the U.S. Marshals Service. The investigation was also coordinated with the assistance of the Government of Mexico. The Criminal Division’s Organized Crime and Gang Section and Narcotic and Dangerous Drug Section and the U.S. Attorney’s Office of the District of Columbia are prosecuting the case. The Criminal Division’s Office of International Affairs provided substantial assistance.